Though it once appeared on our list of the most anticipated new restaurants of 2015, Brandon Jew's modern-Chinese passion project Mister Jiu's is finally ready to open in Chinatown next week, April 12, and the local foodinista sphere has their chopsticks at the ready. Hoodline breaks the news about the impending and delayed debut from the former Bar Agricole chef and San Francisco native, who first announced his plans to open a new sort of Chinese restaurant one of the city's most historic neighborhoods that's all too often forgotten by non-tourists. Mister Jiu's  taking as its name Jew's own pre-Americanized family name  is opening in the second-story space that was formerly the longtime home of Four Seas restaurant at 28 Waverly Place (it will use the alley entrance, as opposed to the Grant Avenue-facing address of the same building, at 731 Grant). And Jew has secured a couple of top-notch chefs to work beside him in the kitchen, including recently named Chronicle Rising Star Sara Hauman, formerly of Huxley and his sous chef at Bar Agricole, who will be his chef de cuisine; and acclaimed pastry chef Melissa Chou, formerly of Aziza. Jew wrote an essay in the Chronicle in February about his memories of Chinese New Year traditions, and said, "San Francisco’s Chinatown has been losing its banquet restaurants and special-occasion venues in recent years," adding that as he prepared to open Mister Jiu's, "I’ve come to realize how important it is to have a space to continue cultural traditions and celebrations." He said that one of his goal at the restaurant, in addition to modernizing what's come to be its own tradition of Chinese-American cuisine, is to "continue those celebratory traditions that have been handed down over generations." Jew has also said that he plans to group the menu around styles of dishes, with eight banquet-style dishes but grouped around raw items, soup, fried dishes, etc. instead of the traditional groupings by the type of protein, fish, poultry, pork, beef, etc. 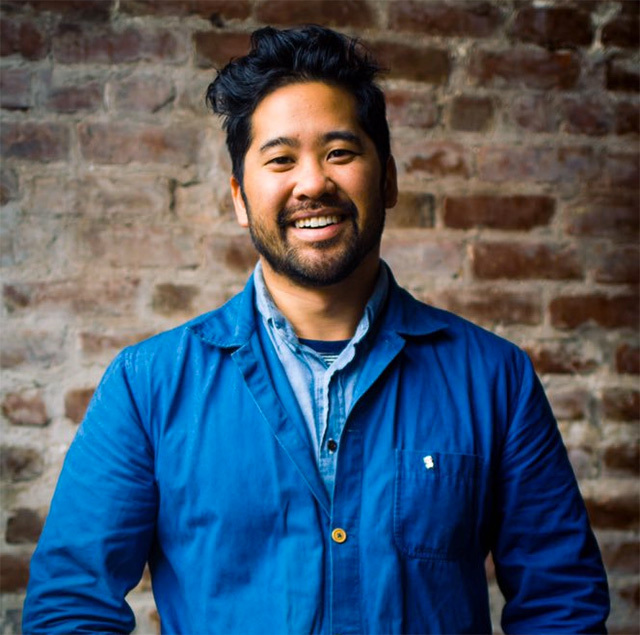 Jiu tells Hoodline he'll be doing whole-animal butchery, getting two pigs a week from the biodynamic Heart Arrow Ranch in Mendocino, and other dishes will feature plenty of seasonal vegetables, local seafood, and you can definitely expect tea-smoked duck. And, yes, the larger tables will, like in many traditional Chinese restaurants, feature Lazy Susans in the center. Over the last two years he's done a number of pop-ups and test dinners, including a notable one at Food & Wine's Chef's Club in New York in February. Other clues about dishes to come from those dinners include Silkie chicken consommé; smoked duck gizzards with fragrant salt and Shin Li pear; shrimp chips with Dungeness crab, kohlrabi, apple and prawn roe; his own spin on hot and sour soup; salt-baked spring trout with charred scallion-ginger sauce; and Peking duck smoked on the bone and roasted, served with scallion pancakes. SFist will bring you the complete opening menu for Mister Jiu's as soon as we have it.